Despite recent efforts from Pakistani authorities towards stabilizing their domestic political situation, the reigning atmosphere there remains unstable and can at any given time transform into the next crisis, in which military intervention will be inevitable. Confrontations resume in ruling circles, strongly influenced by feudal and tribal institutions, and the question of who assumes the top role in the military totem pole becomes a crucial one. In many ways this is the legacy of over 20 years of active emergency and martial laws. This is all negatively influenced by periodic clashes between varied Islam groups due to inter-confessional and inter-ethnic conflicts. The Sunni-Shiite uprisings come ever nearer to a breaking point, considering that Shiite make up over 20% of Pakistan’s population. Relations are uneasy between key PRI nationalists: the Punjabis, Pashtuns, Sindhis, Baluchis and Brahui. Authorities are taking decisive measures in the battle with terrorist and extremists organizations based in the North-Western regions of the nation, near the Pakistani – Afghan border, especially since the close of 2014. However, this is clearly insufficient. 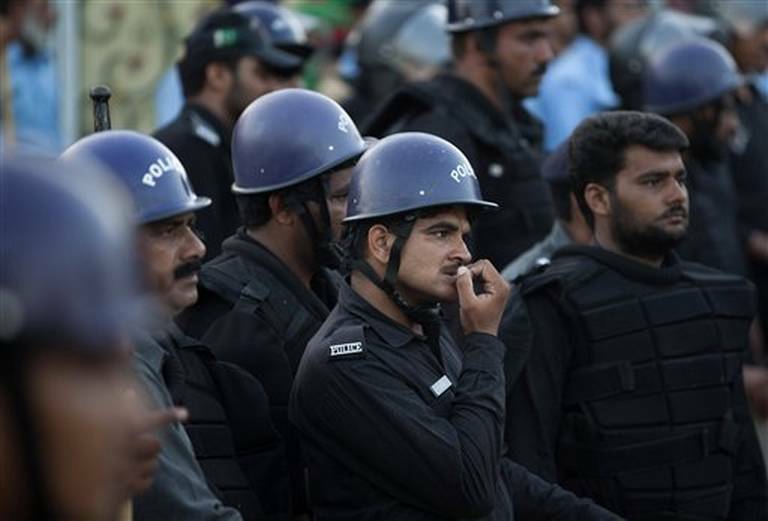 The crime situation remains markedly tense, especially in large cities, particularly in Karachi, where nearly 23 million of the 192 million Pakistani people live. In reality, many neighbourhoods of this metropolis are so dangerous, that those of upper-class districts and foreigners simply don’t even pass through them for fear of being robbed, kidnapped or killed. Often, criminal activities are broken up by way of open armed conflicts, which the police is not able to suppress, forcing the authorities to send in armed forces. The battle for influence in the Karachi port area has come to be especially heated, a struggle into which the Tehrik-i-Taliban Pakistan (TTP) movement, the largest union of extremist/terrorist groups, wishes to enter. Also, due to purposeful measures by authorities, the PRI’s political structure should be attain some stability. During parliamentary elections in May, 2013, the main weight of authority shifted from the Pakistan People’s Party (PPP) to the Pakistan Muslim League of N.Sharifa (PML-N), which was initially formed by a civilian government without military interference in the process of power a shift from the former civilian government. Although, of course, the generals are headed by the Chief of Army Staff, General R.Sharif and the military retains an overall decisive influence on national security and foreign policy, in fact, by putting pressure on the civilian government. Another point is that this impact has in recent months been less prevalent than before. A strong PML-N majority in parliament allows N.Sharifa to push any bills through the national assembly, with the exception of constitutional amendments. If it is necessary to obtain a qualified parliamentary majority (2/3 of the votes), PML-N leaders enter talks with other parties. In spite of its stoic positions, N.Sharifa’s party strives not to operate solo when resolving heated issues, especially those with a social-economic nature. It efficiently rushes to political manoeuvres, attempting to reach a consensus with varied political powers, including its own traditional opponent, the PNP headed by ex-president, Zardari. The latter, according to election results, secured itself in the national assembly 47 of 342 seats, but faced by their confederates from the former government, they were left with zero. In this situation, the PNP prefers to play the role of a constructive opposition, not blocking PML-N law-making initiatives in the Senate, where it possesses comparable membership to the PNP fraction. Also, possessing prominent parliament positions, the PML-N can withstand serious domestic political challenges, which take the shape of mass street demonstrations and strikes, instigated by opposing organizations of the lower echelon. They are the ones currently arousing protest demonstrations in the streets. Sometimes they are able to organize marches and demonstrations with up to 60 thousand participants. Protesters resort to the tactics of blockading government buildings and parliament. As a result, frequent clashes occur with local police, which occasionally lead to injuries and deaths. The weak spot of the current authority is the economy. It is developing not nearly as dynamically as in the Neighbouring India, whereas Pakistan on the whole has a sufficient food supply. But the country is heavily dependent on outside doners, first of all, on the US, as well as the IMF. The external debt is nearly 30% of the GDP. A substantial sway in the Pakistani economy is created by the lack of energy recources and an underdeveloped economic-transportation infrastructure. This is evident in the standard of living amongst the general populus. Over 30% of Pakistani’s live bellow the poverty line, while the unemployment rate comes to over 8% of the working population. For this reason, many Pakistani’s are forced to move in search of employment to Persian Gulf countries, the United States and EU countries. All of this created a potential hotbed for a social explosion, which, amid political protests, rising crime rates and heightened terrorist activity, births a threat to the stability of the reigning regime. Honestly, considering the role of the army, authorities could probably suppress fairly large demonstrations from the population.